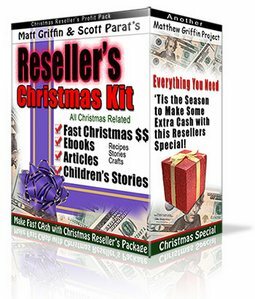 "Who Else Is Ready To Get Master Resell Rights To This Brand Spankin' New Christmas Package, With Graphics That Will Blow Away Your Customers, Incredible Content, A COMPLETE Resellers Kit And Enough Cash For Your Whole Family To Start Believing In Santa Claus Again?" So its Christmas again and the flurry of shoppers are clouding the streets, stores, and local bars. Holidays can be a HUGE annoyance, but we cannot forget what this time of year is all about! Its Christmas! That is family time to the MAX!